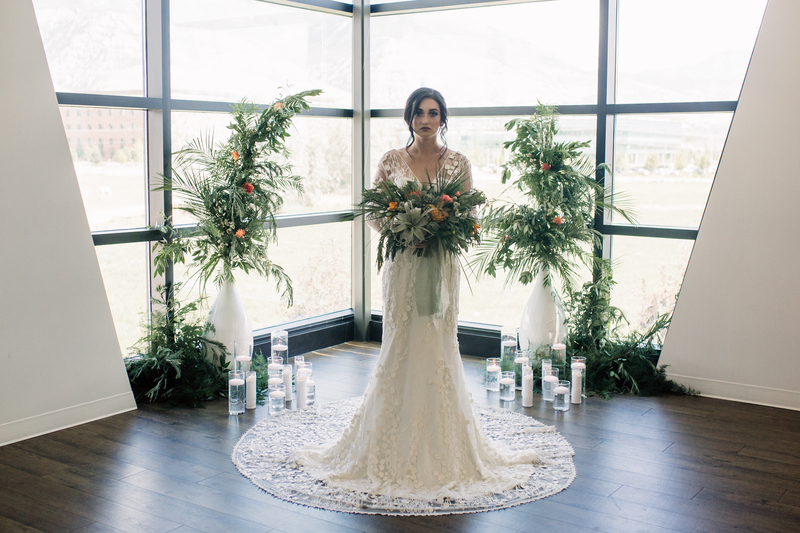 A Tropical Wedding in Utah? 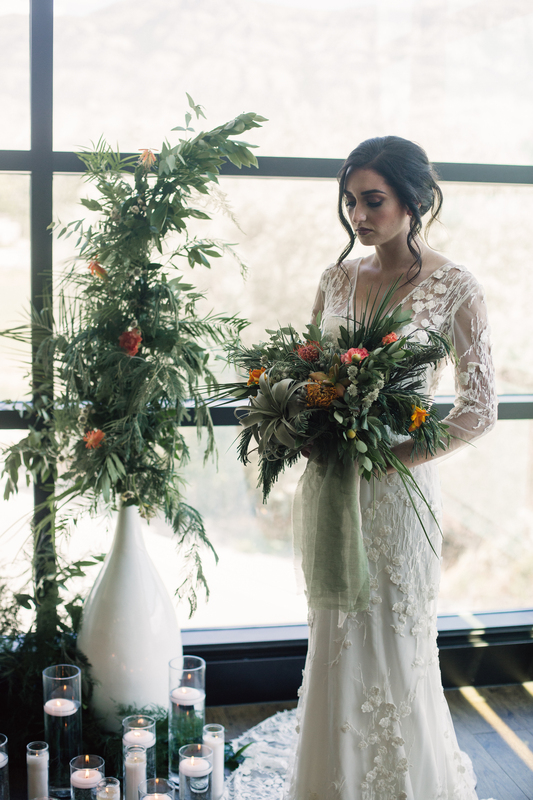 The Possibility for a Paradisaical Wedding! Destination weddings are a dream come true! But what about when you need to be landlocked for the sake of your loved ones? No need to fear! There are plenty of ways you can have a tropical wedding without the plane tickets and sand stuck in your shoes. 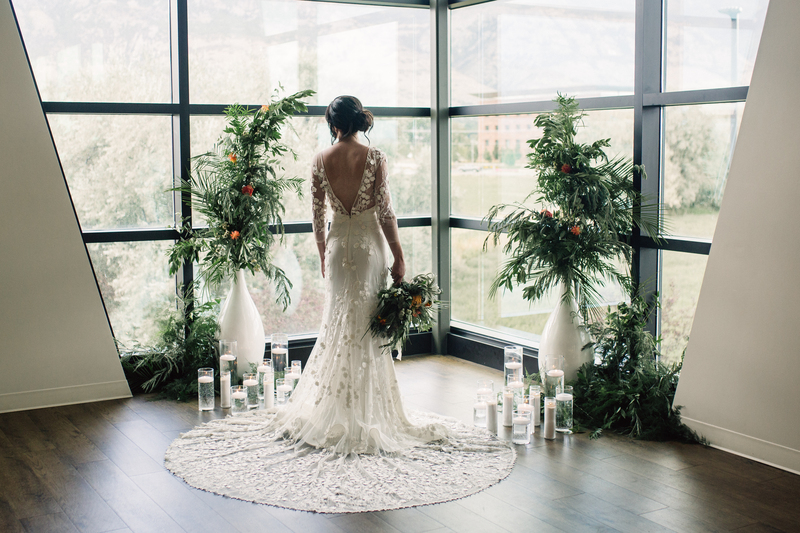 This bride decided to bring the islands to Utah with her exotic taste in flowers and her beautiful gown. 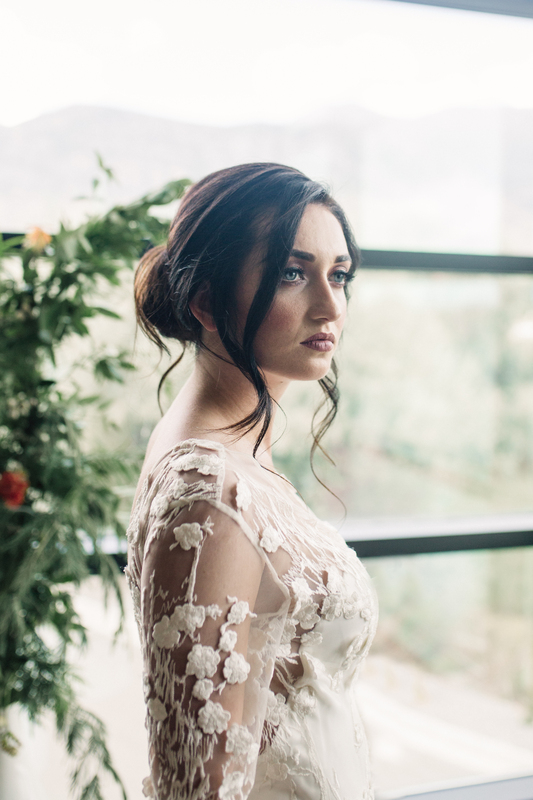 This gorgeous dress is by the wonderful and talented Sareh Nouri. 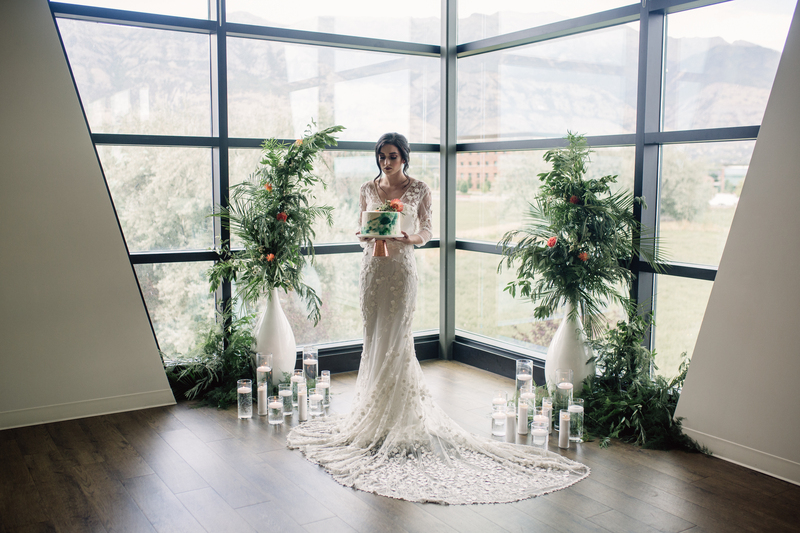 Her unique detailing and construction really make this gown stand apart from the crowd! She is one of our favorite exclusive designers! Check out some of her latest looks here! Not a fan? No problem! Take a look at some of our other wonderful exclusive designers to find the one that fits your style! It may not seem like it but, the key to an amazing themed wedding of any kind is the accessories. 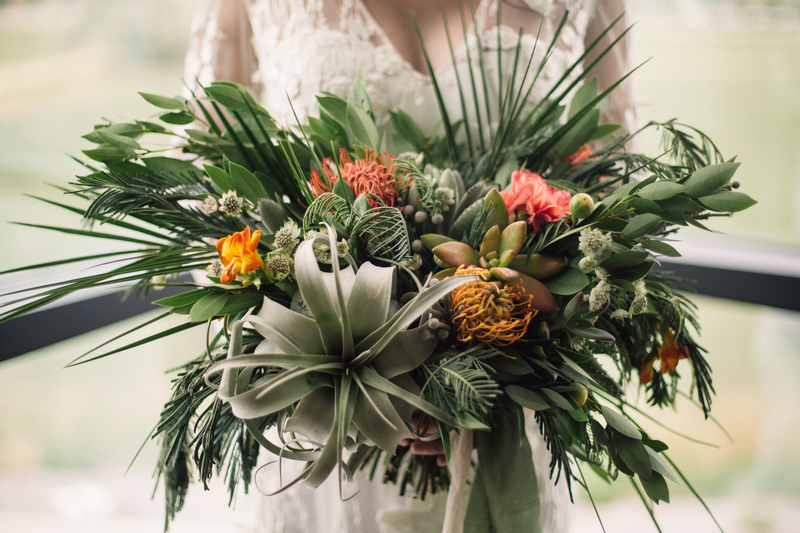 For tropical themes, the tropical flowers are a MUST! Even if the sun isn’t shining the beauty of some tropical flowers will take you straight to a cloudless island! 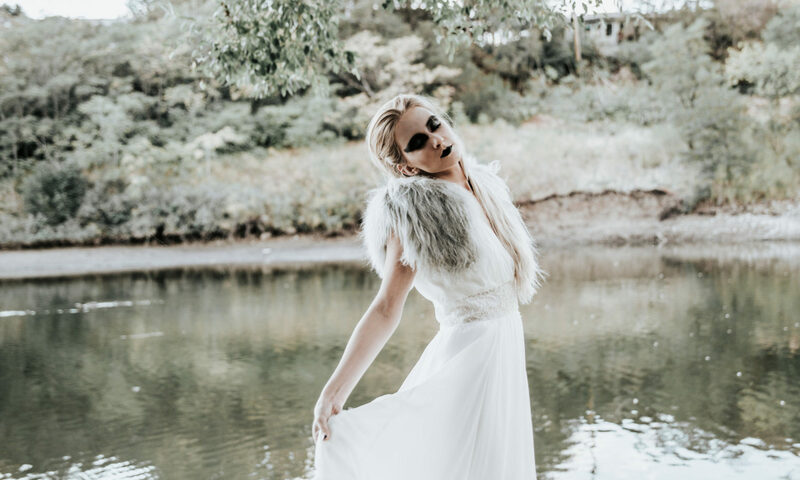 If you are curious what kind of accessories and accents you would need for a themed wedding check out our post about Industrial Elegance or Keeping it Classical for some more ideas! 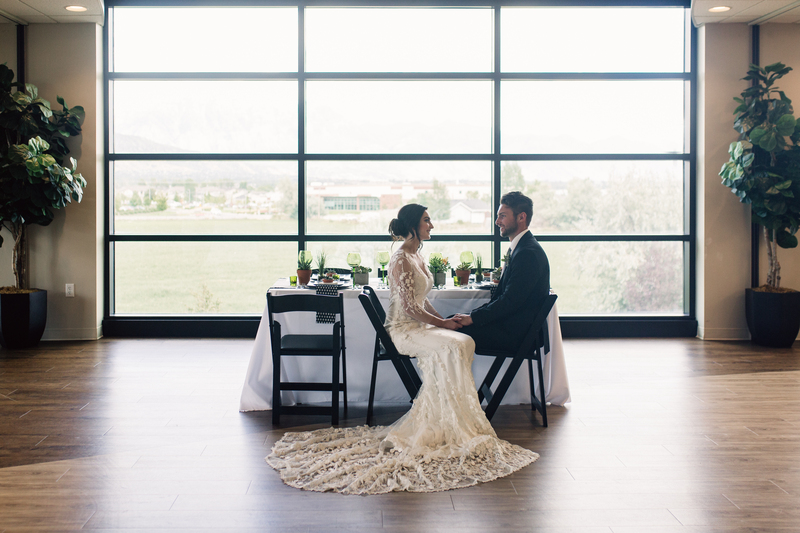 This fabulous wedding took place at Sage and Thistle. They are so fantastic for helping you achieve your dream wedding! They even have full and partial planning services so you can get you whatever you need for your perfect and special day! 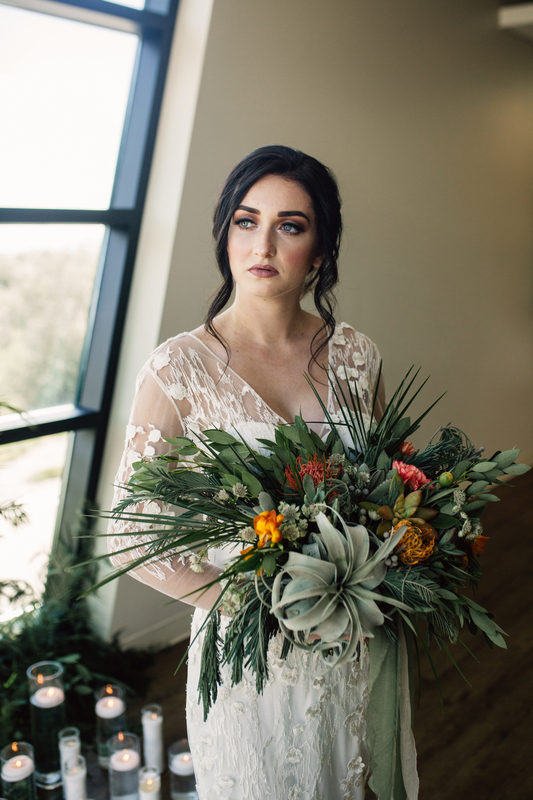 Most importantly, photographer Lindsay Kaye did an absolutely beautiful job with these photos and really captured the beauty of the flowers and the intricate detail of the gown! 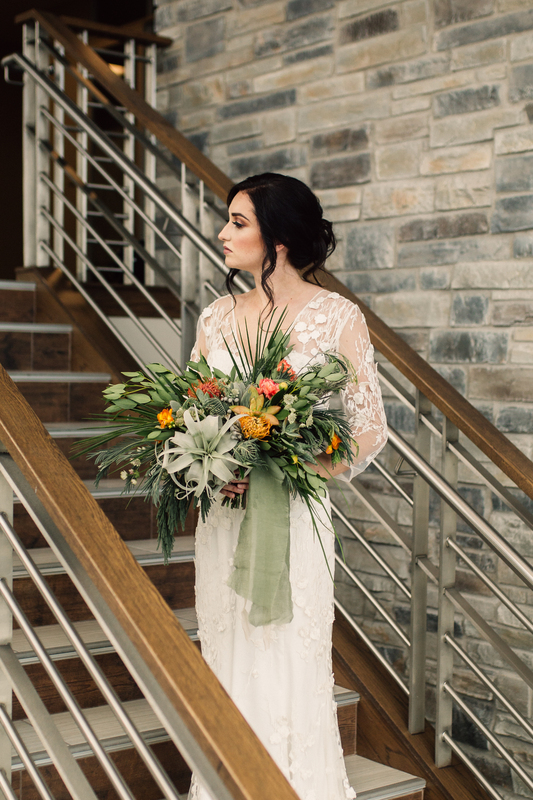 So, give us a call or book an appointment online to come find the gown of your tropical dreams! Don’t forget to check back for more style and theme highlights! 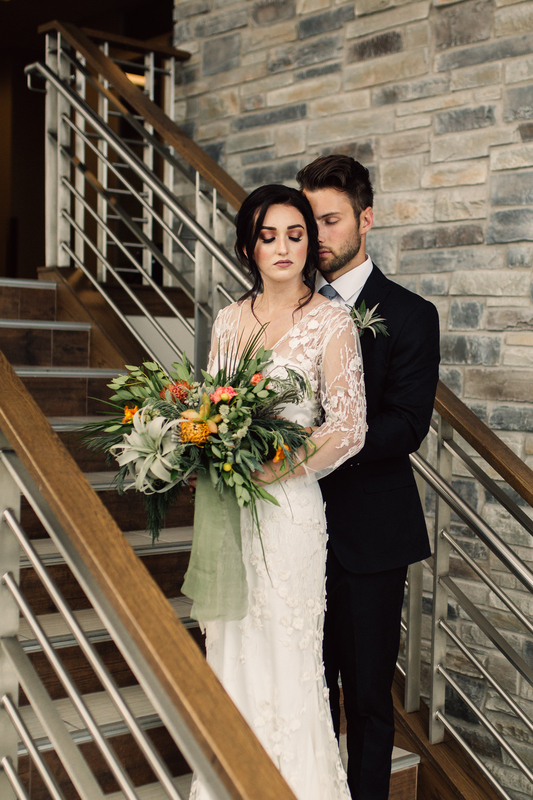 Next PostNext Winter Weddings: What to Know!